Precise application of specialty coatings such as epoxy, urethanes, enamels, and zinc as well as extensive experience in military coatings. Our conveyorized pre-treatment system and new state-of-the-art Col-Met spray booth allow high quality, efficient and cost-effective painting. 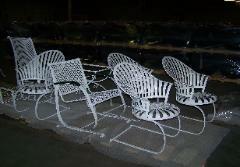 Off-line painting is also available for items too large to handle on the line or small quanity orders. Thermoset powder coatings have remarkably better mechanical, corrosion, and chemical resistance when compared with all other organic finishes. 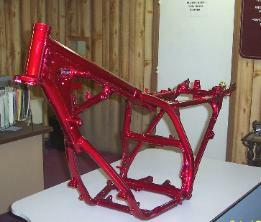 Further, because of the absence of solvent, a powder coating has less porosity than liquid paint. All these conditions make powder coatings more corrosion resistant, more chemical resistant, and more weather resistant than liquid coatings. It is both economical and environmentally safe with an excellent finish. 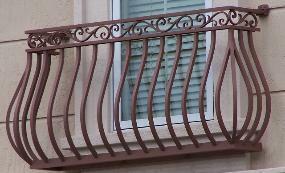 Any metal that can hold an electrostatic charge and that can withstand high temperatures can be powder coated. Powder coat applications range from manufactured products to automotive, motorcycle and bicycle frames, airplane parts to lawn furniture, iron and aluminum fencing, architectural applications, and heirloom antiques. 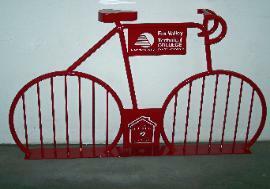 No longer just a high-gloss finish, powder coating offers unlimited colors and finishes from today's powder suppliers. Several decorative finishes simulating looks such as marble, granite and precious metals can be applied onto any steel or aluminum surface. Candy and metal flake coatings are also available for those looking for a flashier finish for their motorcycle or snowmobile.